The new Mitsubishi Outlander Estate is a take-no-bull estate that’s huge in stature, practical by nature, and reasonably cheap to run. The Outlander is about as big as cars like this get. You have the option of increasing the five seats to seven, while four-wheel-drive is standard across the range. It looks better than ever too, thanks to more chrome a the front-end, as well as sharper lights. It’s not exactly stylish, but if a no-frills, dependable SUV is what you’re after, it ticks a lot of boxes. 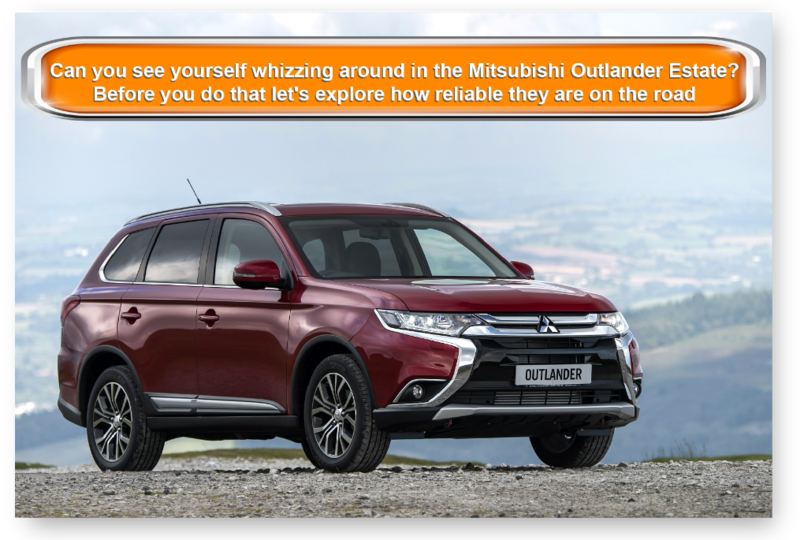 OSV takes a closer look at what it’s all about with our Mitsubishi Outlander review. This Mitsubishi Estate car is a proper workhorse that isn’t afraid to get its hands dirty. It’ll get you and the family from A to B with ease – but it won’t offer much in the way of entertainment. Its rock solid and reliable, but no fun. However, the high driving position gives you a commanding view of the road ahead and makes you feel like a king. The four-wheel-drive system, meanwhile, ensures you can take it most places with confidence, but the steering is too light and detaches you from the driving experience. Body in bends, moreover, is more than we’d prefer. There are sportier large Estate’s on the market, but few can match the Outlander for off-road prowess. A locking centre differential arms you with grip, while the aforementioned four-wheel-drive beefs things up. The engine range isn’t a range because there is only one unit available – a diesel that delivers up to 148bhp, and which can thrust you from a standstill to 62mph in 10.2 seconds when paired up with the manual gearbox, before maxing out at 124mph. If you choose to match it up with the automatic transmission, performance becomes more sluggish, and the Outlander takes 11.6 seconds to cover the 0-62mph dash, before maxing out at 118mph. It’s a solid engine that’s refined even when you really put your foot down. It is, however, gruff and noisy, and doesn’t even attempt to hide its ‘raised in the wild’ nature. Sophisticated, it is not. Most of its power is available low down in the revs. This is a good thing, because it tends to run out of steam pretty quickly as you move up the rev range. We recommend that you pair the engine up with the manual transmission, because it’s just a slicker shifter. The automatic isn’t as responsive, and takes a while to wake up when you try to overtake. This Mitsubishi Estate car sports an interior that is way more functional than it is exciting. There is really no design flair here, and its rugged ride and nature give a hint at what’s to come indoors. With that said, there is noting inherently wrong with the cabin. Yes, it’s boring, and yes some of the plastics are cheap and dated. But everything works, and it’s a cabin that is built to last and deal with anything you can throw at it. Even better, the instruments are really easy to find and use, with Mitsubishi laying out the controls in a logical manner. The graphics aren’t very pleasing to look at, but again if functionality matters more to you than anything else you can’t really go wrong in here. From the outside, the Outlander isn’t the prettiest in the land. But its boxy shape at least makes it practical. There is plenty of room in the front and middle seats, while children will have plenty of comfort in the third row should you choose to add it. This third row is not available with the hybrid model, though. Cabin storage is good, and includes sizeable door bins, a huge glovebox, cup holders and more. With all the seats in place, the boot measures 591-litres, but this can be extended to 1,022 by folding down the middl row. This makes it one of the biggest boots in the class. It’s also easy to use, thanks to a very small load lip. Finally, the Outlander makes for a good tower, ad ca tow braked weight of up to 2,000kg and un-braked weight of up to 750kg. The basic Outlander is inexpensive, but it doesn’t come with much in terms of standard kit. You get cruise control, electric door mirrors and windows, and air conditioning – but not much else. The Outlander 3 model will cost you an extra £3,000, and it’s generously equipped. It comes with rear parking sensors, seven seats, alloys, dual-zone climate control and Bluetooth connectivity. The Outlander 4 costs £4,000 more than the 3 and comes with a rear parking camera, keyless start and entry, an electric sunroof, a DAB digital radio, heated leather seats and satellite navigation. Prices for the new car start out from £25,000 and rise to just over £33,000. For more information on our leasing deals, you can check out our page here. Not many cars in this sector are what you could call cheap to run, but this Mitsubishi Estate is one of the cheapest. The 2.2-litre diesel engine can achieve fuel economy returns of 53.3mpg, which is better than what many of its rivals can manage (as we’ll see in a moment). In addition to that, you will have to pay £130 a year in road tax if you buy before April. After April, road tax will rise to £200 for the first year of ownership and £140 for each year after that. However, these numbers are exclusive to the manual transmission. If you opt for the automatic instead, fuel economy drops to 48.7mpg, while road tax will rise to £180 a year if you buy before April. Buy after April, and you will have to pay £500 to tax the car during your first year of ownership. This is a very rare thing, and will save you money if seven seats are what you’re looking for. Handling is never anything but predictable and there’s no sparkle. But if you need a bit of brawn to get you out of difficult brawn to help you survive on tricky terrain, this car is here for you. It’s functional, sturdy and everything is where you’d expect it to be. But it’s just so uninspiring. If drabness makes you depressed, it might be worth avoiding. Unfortunately there is no other engine to choose from. Let’s see how the car fares against its rivals in the comparison section of our Mitsubishi Outlander Estate review. 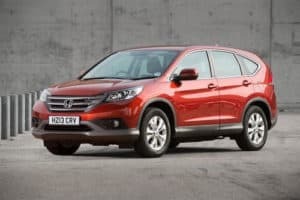 The new Honda CRV SUV is in many ways the ideal family car: It’s strong and built to last, and also comfortable and economical. It isn’t particularly exciting to drive, with Honda aiming for on-the-road comfort more than anything else. To that end, they’ve pulled things off. The CRV also has plenty of grip, and lots of composure. A minor criticism would be that its front wheel spins too much if you enter a bend with too much enthusiasm. There are a trio of diesel engines available, with our top being the 1.6-litre 118bhp variant. It’s quiet enough, and can get you from a standstill to 62mph in 11.2 seconds. However, to keep making progress you will need to change gear frequently. The good news is that the 6-speed manual ‘box is slick and easy to use. This engine is also the cheapest in the range, and can return fuel economy up to 64.2mpg while costing just £30 a year in road tax. For more power, there is a petrol option but it will cost you £210 a year in road tax, and can return 39.2mpg at best. The cabin is well-built and should be able to cope with the demands of a modern family. But some of the plastics are cheap, while overall the interior looks dated. The swooping dashboard is a highlight, while there is plenty of comfort and quiet. Like the Outlander’s, the CRV’s interior is more functional than showy. The CRV majors on practicality. There is lots of headroom and legroom for five adults, while the boxy shape of the vehicle means you’ve got a big boot that measures 589-litres. It’s the biggest in this class, and a massive opening ensures it’s also really easy to use. The glovebox, meanwhile, is also huge, while Honda have found space for a trio of cup holders in the CRV SUV’s centre console. 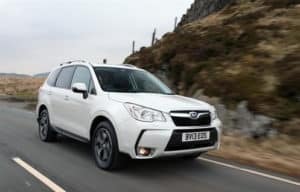 The new Subaru Forester may not be the most stylish SUV around (it really isn’t), but it scores well on the practicality front and it won’t let you down. Being called Mr Dependable can be taken two ways, but if dependability is something you’re after, the Forester has got your back. Plenty of grip is provided by the wide tyres, while the steering wheel doesn’t emit too much feedback. And thanks to four-wheel-drive, you’re always going to have lots of confidence behind the wheel. A diesel engine makes a lot of sense with a car like this, and the 2.0-litre unit on offer here has plenty of power and performance. It produces up to 145bhp, and can thrust you from a rest to 62mph in 9.9 seconds. Swift progress is easy enough, and it’s the best engine in the range. Even better, it’s available with any model. Two petrols are offered – one is slower than the 2.0-litre diesel, while the other does 0-62 in just 7.5 seconds. Crikey. However, it never actually feels as fast as that, and it will cost you an arm and a leg to run. How much? Well, fuel economy returns of 43.5mpg are the best you’ll see, and it will also lump you with an annual tax bill of up to £180 per year. The diesel is not hugely efficient, and can only achieve fuel economy returns of 49mpg at best, while landing you with a pretty hefty yearly road tax bill of its own – £145 a year with the manual and £185 with the automatic box. This is not par for the course in this class. Like the Mitsubishi’s interior, the Forester’s is abrasive but usable. There are a few soft-touch materials here and there, but we’d be lying if we said that there are more than just a few. Instead, Subaru have gone back to basics and focused on making their cabin as practical as possible. So what you get are features such as tall windows for an airier feel, and windscreen pillars that have been brought forward for better visibility. … But useful! The boot measures 505-litres, which makes it bigger than a number of its key rivals. Moreover, it’s hassle-free, thanks to a low loading lip and wide opening. The rear seats can be folded in a single mechanism for more space. Head and legroom is good for folk upfront and in the back, while storage spaces include a pair of cup holders which you’ll find in the centre console and door bins that are really rather accommodating. The car makes for a good tower – opt for the automatic transmission, and you can tow weight up to 2,000 kg. The Outlander has been around for longer than you realise. 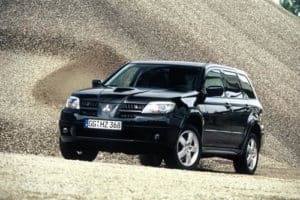 Only really coming to peoples’ attention in 2005, Mitsubishi have worked very hard at thrusting this car into the mainstream and getting people to buy it. This version was originally launched in 2013 and sold very well. The step up in quality was noticeable, and it’s a car that’s gone from strength to strength ever since. 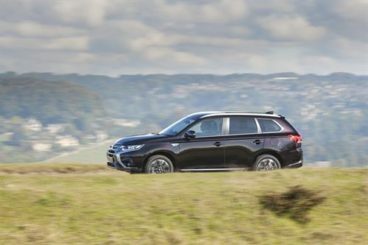 In 2017, the Mitsubishi Outlander Estate looks better than ever, and is a competent, powerful choice that won’t let you down.